When we first heard that Play’n GO is about to release a brand new high volatile slot with huge potential, we can’t wait to get our hands on it. Sadly, it’s doesn’t look that perfect, but still can pay huge. Read our Iron girl slot review and find out how to win on it. There is a lack of cosmic-themed slots lately. If you are a big sci-fi fan, it’s your time. Next Play’n GO video slot Iron girl is all about space adventure and monster fights. You can help our beautiful cop girl to save the world and chase four brutal monsters. Slot looks clean and simple when it comes to graphics, while for someone it’s all about winnings, and they still play old-looking retro slots, for most of the new players it will look outdated and ugly. However, when you make some spins, you will understand that graphics are perfectly suited overall space theme and don’t disturb you. Iron Girl is a typical 5-reel and 3-row video slot with increased to 20 pay lines. It has 8 total paying symbols + pink haired iron girl as wild. Four of these symbols are high paying ones, which is good. There is no scatters or any bonus symbols, as there no such features. When it comes to stake size, you can select from a usual range of bets from €0.20 to €100 per spin. 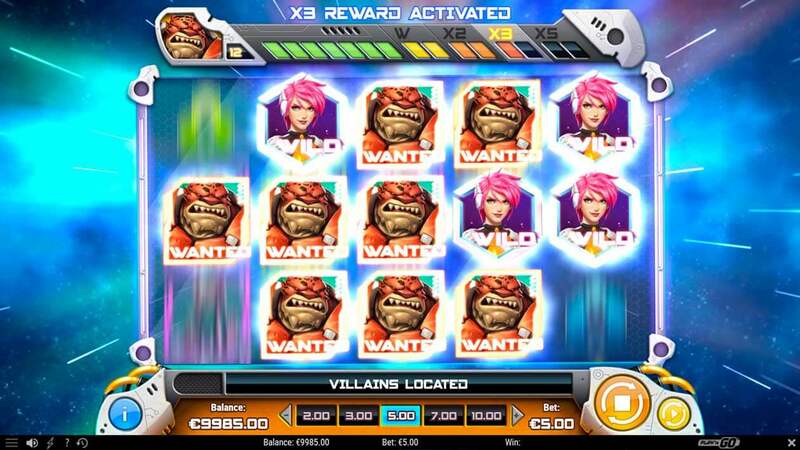 This slot itself packed with a ton of features like sticky wilds, respins and up to 5x growing multiplier. There three features that you can get during the base game spins Villain respins, bounty bonus, and Iron Armor wilds. When you land a winning symbol with a villain in it, you will get a respin. If you connect one more wild or one more villain on respin, you continue. So it’s possible to collect full screen of villains with this feature. Another feature is Iron Armor spin, you can trigger it randomly on any base game spin. You can get from two to five random wilds. 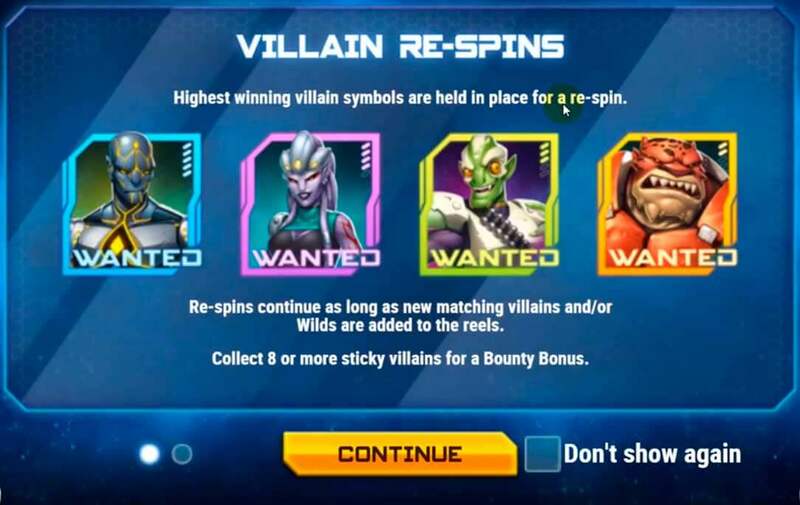 If you also hit a villain on the same spin, you activate respins. In our opinion, this feature makes this slot is an exciting one. Sadly, there are no free spins that you can catch. But the base game and it features itself can pay good enough to make you fell in love with this slot. The best strategy for you on this slot is to pick optimum bet. You should have at least 70x bets available to be eligible to catch something bigger. It means that if you play with €1 stake, you should have at least €70 on your start balance. Where can I play Iron Girl slot for free? All new online casinos that we list on our site have a free play feature for you. You don’t even need to register. Just take a look at new online casinos we have, pick one that you like and feel free to try it before you register. Does this slot be right for wagering bonus money? We do not suggest you use this slot for wagering. It’s a high volatile slot which means it can have a lot of dead spins before you hit something and it might take a lot of spins for you to hit at least 100x+ win. Finally, another slot from Play'n GO that can pay you huge and keeps you excited with every spin. We highly suggest you try this slot as soon as possible, don’t miss your chance to meet Iron Girl! You should use this slot especially if you are a big fan of sci-fi themed slots and don’t want to catch scatter and wait for free spins.